Mystras lies 6kms to the West of the modern town of Sparta, on the Northern slopes of Mount Taygetos, in the Laconia region of the Peloponnese. 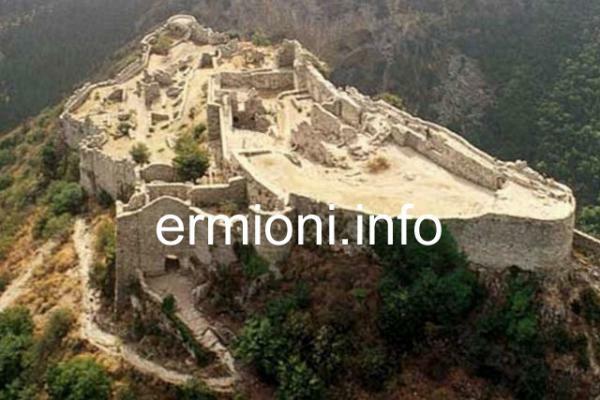 As you approach the Medieval site, the first thing you will see is the Frankish castle on the summit, which was never conquered throughout its whole history. 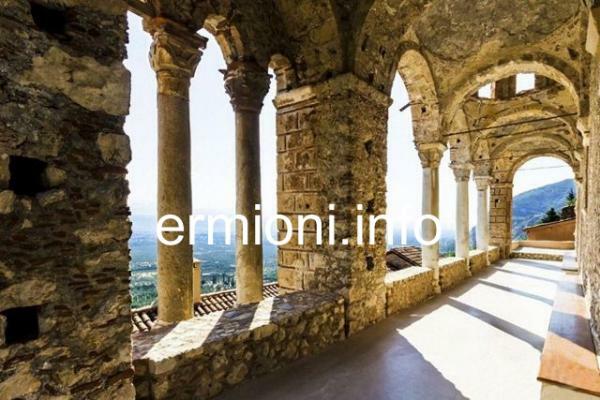 Mystras was originally made into a stronghold by the Frankish Crusaders in 1249, but was later developed to become one of the most important towns of the Morea (Peloponnese) and for 200 years it became one of the last outposts of Byzantine civilisation. Most of the oldest buildings date back to the end of the 13th and 14th Century, leading to the period of Mystras' golden age of prosperity. Even in the darkest hours of the Byzantine Empire, its inhabitants found the courage to fight for freedom to protect Hellenism from attacks by the Franks, Albanians and Ottomans. William II of Villehardouin had the original Myzithras Kastro built by his Frankish Crusaders, but he lost the castle and Mystras, together with Grand Magne and Monemvasia to the Byzantines following his defeat at the Battle of Pelagonia in 1259. On-going raids caused the inhabitants of Lacedaemon (ancient Sparta) to abandon their exposed city and settle at Mystras, in a new fortified town built below the existing castle. From the new town of Mystras, the Despot ruled over Byzantine Morea until its surrender to the Ottoman Turks on 30th May 1460, and stayed under Ottoman control until 1821, apart from a brief spell of Venetian rule around 1700. Mystras was finally abandoned following the Greek War of Independence in the 1830's when the first King of Greece, Othon, issued a decree on the construction of a new city, based on the neo-classical architectural model, at Lacedaemon, ancient Sparta. Passing through the new village of Mystras, one can see the bronze statue of Constantine XI Palaiologos. 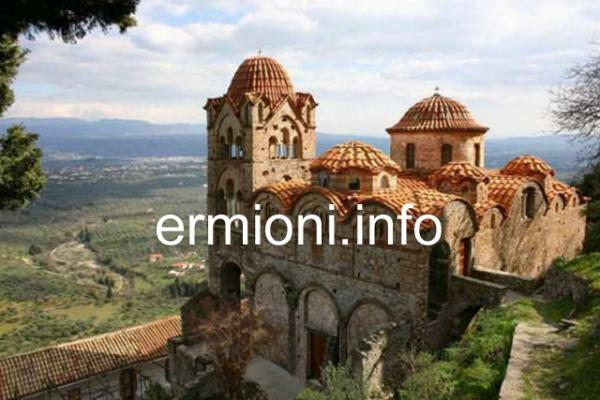 He was a Despot of Mystras before taking the crown of the Byzantine Empire. He was to become the last Byzantine Emperor, as he was killed on Tuesday 29th May 1453 defending his sacred imperial capital, Constantinople, from the invading Ottoman Turks led by Sultan Mehmed II. His decendants and members of the Palaiologos family still live in and around the village of Mystras today. 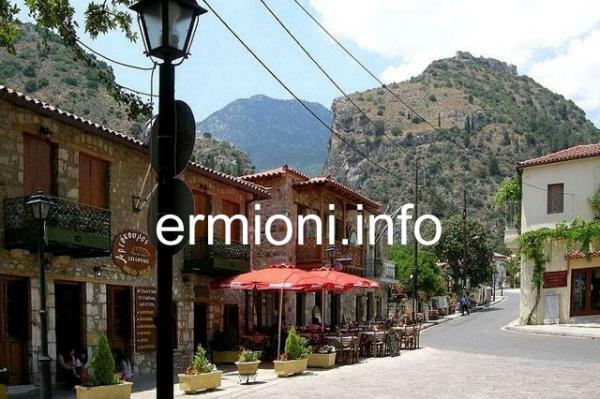 Travelling further from the village, you will arrive at the Medieval site of Mystras. 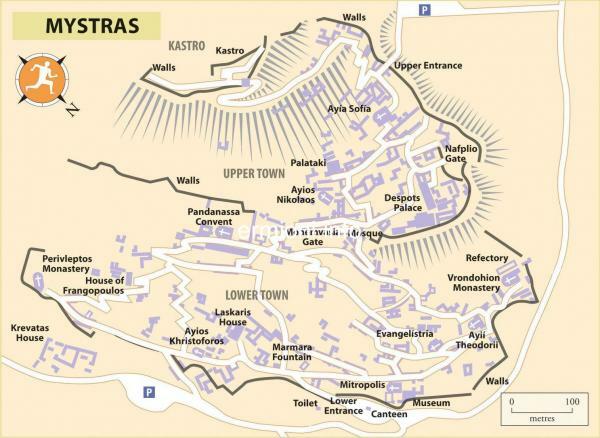 The Byzantine town is divided into three parts, the Lower town including the Museum and Monastery, the Upper town including the palace, and the old Kastro (Castle). Most visitors start exploring the Lower town, however, you can now drive and park at the Upper town entrance, giving better access to the Villehardouin Castle and offering wonderful panoramic views of the whole surrounding area. The site is open every day from 08:00am, apart from national holidays. Admission: 12 Euros. The Archaeological Museum of Mystras was founded in 1952 and located in the courtyard of the Cathedral Metropolis of St. Demetrios, near the main Lower entrance to the site. The museum contains large collections of Byzantine jewellery, costumes, pottery, sculpture, manuscripts, coins, wall paintings and icons. 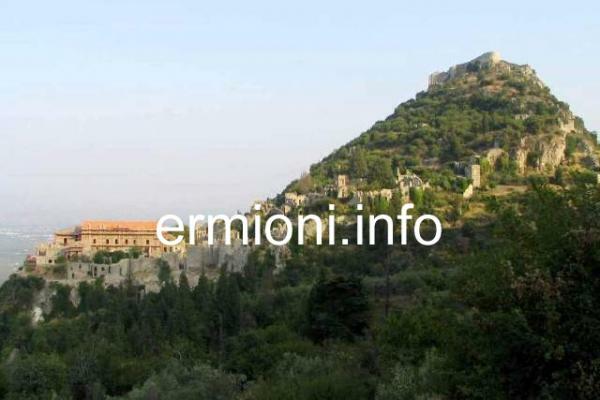 Mystras museum is open every day, apart from national holidays. Admission: 5 Euros.